The Dorchester chrome 4 light semi-flush ceiling light with clear crystal buttons and drops is a bold centrepiece for any bedroom, living room or dining room. 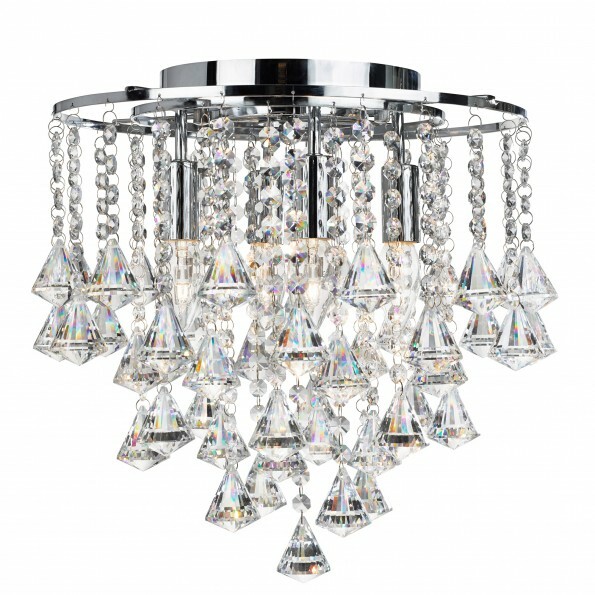 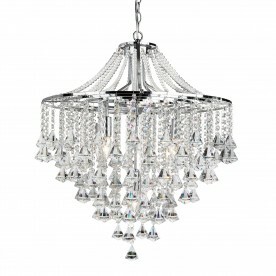 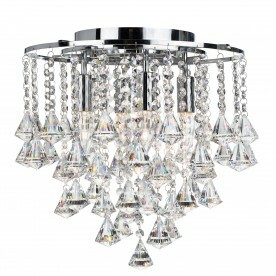 The four lights are adorned with chunky crystal buttons and drops, which refract the light beautifully. 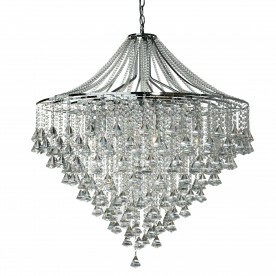 And the chrome finish completes the look of this modern classic.